Is there a better accolade for Bigatmo than to have the support of British pilot Nigel Lamb, one of the most accomplished and respected display and air race pilots on the global stage? Back in 2007, when Bigatmo was still in its infancy as a start-up company, with nothing to show for itself except a handful of prototypes, we were lucky to meet Nigel through a mutual pilot friend. There followed a hugely generous gesture for the Bigatmo logo to adorn Nigel Lamb’s own aircraft at the 2008 Aero Expo Show. We had no pilot sunglasses to exhibit but that did not matter. Instead, Nigel had helped us get off the ground and build a wave of interest in the Bigatmo brand. Nigel’s steely grit, and determined and focussed approach to his flying have been a huge inspiration to Bigatmo in driving through our ambition to be the provider of the best solution in pilot sunglasses in the world. Born in 1956, Nigel Lamb was intrigued by flying from a very young age. Born and raised on a farm in Zimbabwe (then Rhodesia), he read the books, admired his father’s position in the RAF and got his break at the end of A-levels to become a training cadet in the Rhodesian Air Force. After 6 years flying piston aircraft, jets and helicopters, Nigel moved to England in the 1980s. 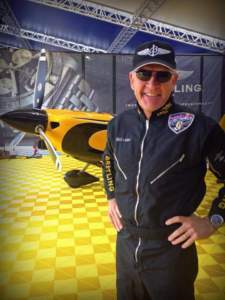 There he began a new career as an aerobatic pilot, leading display teams all over the world. He first competed in the Red Bull Air race Championships in 2005, and finished 3rd in 2010, before the championship was then put on hold due to safety concerns. 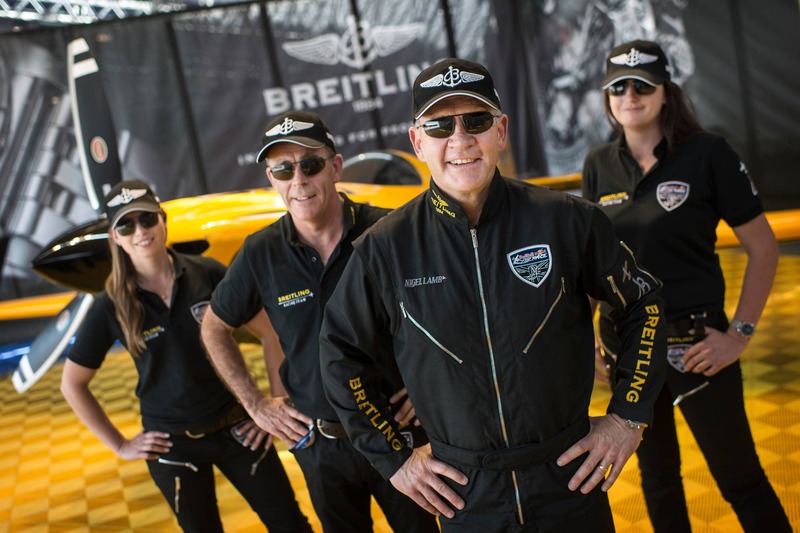 The Red Bull Air Race World Championships have been reinstated for 2014 and Nigel Lamb leads the Breitling team, flying an MSX-R.